City Park is a public park close to the centre of Budapest, Hungary, connecting the elegant Andrássy Avenue and entrance of Heroes Square (Hősök tere). 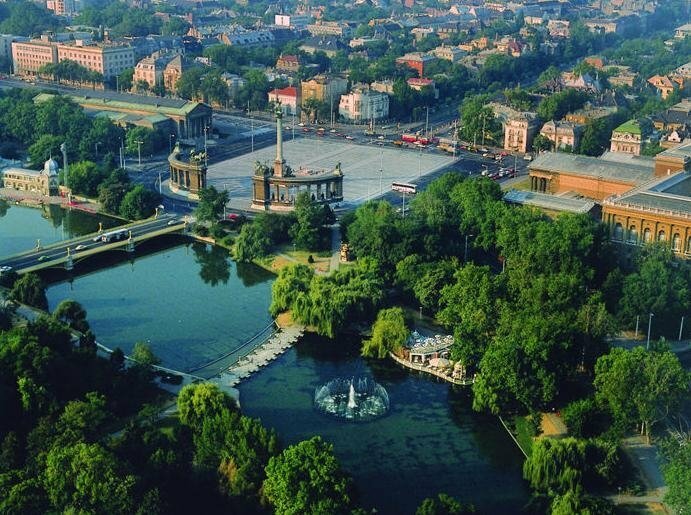 The Heroes Square belongs to the UNESCO World Heritage sites, it was the entrance of the World Exhibition in 1896, as Hungary celebrated the thousand years anniversary as well. The City Park has many sights which are worth visiting. world famous celebrities, prominent foreign politicians, scientists, artists, writers actors, Olympic champions such as team of Formula One, Queen Elizabeth II of Great Britain, Queen of Holland, Pope John Paul II., Jennifer Lawrence,, Colin Powell, Demis Roussos, George H. W. Bush, Kofi Annan, Michael Schumacher, Paul Newman, Robert Redford, Roger Moore, Rubens Barichello, etc. This restaurant is world famous for modern Hungarian gastronomy and hospitality. It was opened in 1894 with another owner and in 1910 Károly Gundel took over and operated it. His son János Gundel learned the hospitality trade at other hotels and restaurants and took over the restaurants management. He created the luxurious style that increased its popularity and created an international reputation. Károly Gundel refined the Hungarian cuisine and created delicious dishes to his own taste. His pioneering work placed Hungary on the world map of gastronomy. One of Gundels signature dishes is the: „Gundel crepe” with a filling made with rum, raisin, walnuts and lemon zest served with a chocolate sauce on the top and fried with apricot brandy. Gundel also claimed to have created the so called „Palóc soup” (Palóc is a nationality in Norhtern Hungary.) This soup is made from pork, green bees, dill and sour creem, it is very unique. 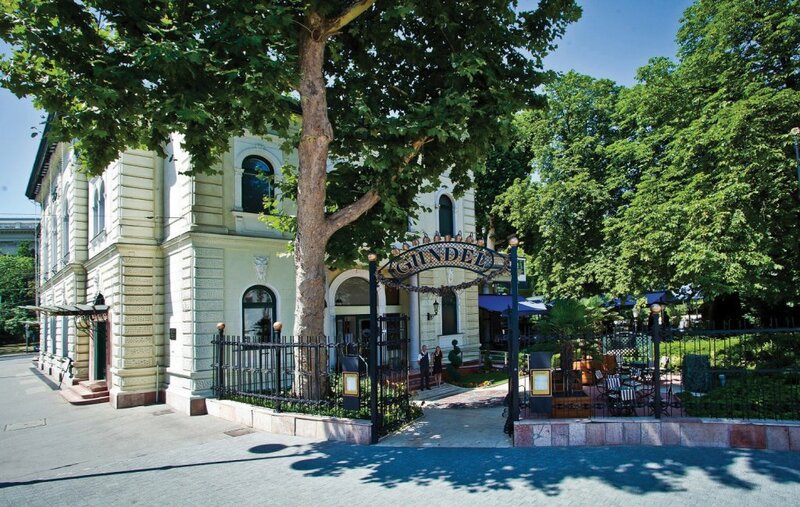 The New York Times wrote that the Gundel Restaurant did more for Hungarys reputation than tourist brochures. Nowadays 140 skilled people work at the banquet events and in the Gundel restaurant. The prices of dishes are cheaper than int he Western European restaurants with the same international reputation. It is the oldest and largest zoo in Hungary. It was founded in 1866 and in 2016 we celebrated the 150th anniversary. It is the second largest zoo in Europe after Hamburg zoo. It has 949 species of animals and about 2000 species of plants. The house of elephants is special. It looks like a Turkish mosque with a minaret, and the roof was made in the second most famous Hungarian porcelain manufactury, called Zsolnay. It has an interesting story. Originally the hippos in the zoo could not multiply but as the city decided to introduce the thermal water of Széchényi Spa oposit the zoo for giving a continous relax for them, the hippos became very succesful with reproducing. The Széchenyi Thermal Bath is one of the largest spa complexes in Europe. Its also the first thermal bath of Pest. It was built in 1913. The Bath was expanded in 1927 with a public bathing department for gentlemen and ladies separately and an openair area. In the middle of the 1960s, further transformations took place. The reconstruction of the pools of the swimming section, their equipment with water filtering and circulation devices was completed in 1999. The so-called fancy bath includes a whirling corridor, underwater effervescence production, neck shower, water beam back massage installed in the sitting banks and many other services. It is very beloved by tourists as well. It has 21 pools. Its water is good for kidney and liver diseases. You can also drink these medical water. Beside the spa department its has a wellness department with massages, saunas, gymnastics and aquafitness as well. 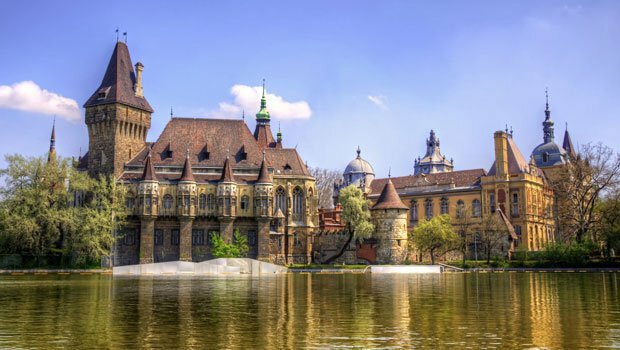 This fairy tale like castle was built in 1896 to the thousand years anniversary of Hungary. It is a copy anyhow of a castle in Transilvania. The architect, Ignác Alpár wanted to represent the different architectural styles to the thousand years anniversary. Vajdahunyad Castle connects some of the finest buildings in the historical Hungary into a single eclectic palace featuring styles from the Middle Ages to the 18th century. You can see Romanesque, Gothic, Renaissance, Baroque buildings elements. The Romanesque church is the small copy of the village called Ják in Western Hungary. Wedding ceremoneis are very popular here in summer time. Next to it you can find a small monastery with a typical ambulatory. The Baroque palace is smilar to the palace of Prince Paul Esterhazy I. The Vajdahunyad Castle in Budapest is on a small island called Széchenyi Island approached via a mock drawbridge over a shallow moat. The main entrance of the Castle is from the Heroes’ Square, and this gate is called the Bridge Gate. There are altogether four bridges leading to the Castle. The castle is surrounded by water and it is very ideal for boating for couples and families. in summer time. The lake turns into a fantastic outdoor ice rink in winter time. From November until March you can enjoy skating on the biggest open air ice rink in Europe, in a lovely romantic atmosphere by popular music. The castle is the home of several festivals, concerts and the exhibitions in front of the Hungarian Agricultural Museum. The most famous piece of the museum is the sceleton of the world famous horse, called Kincsem. He won 56 times between 1876 and 1879 and there was no faster horse at that time. He won in Hannover, Vienna, Prague and his best result was 4000 meter long race at the Goodwood-cup in England in 1878.